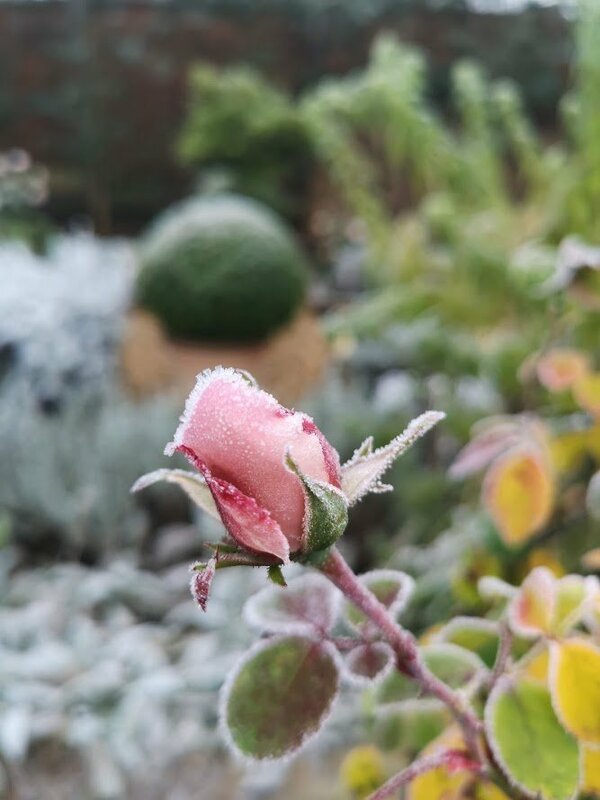 How does your garden look in winter? Let’s be honest, gardens don’t look their best at this time of year. Before we transformed our garden, looking out of the window in December wasn’t much fun. The garden looked bare, untidy, with no colour and there wasn’t anything to entice me out into the freezing cold. But worry not! 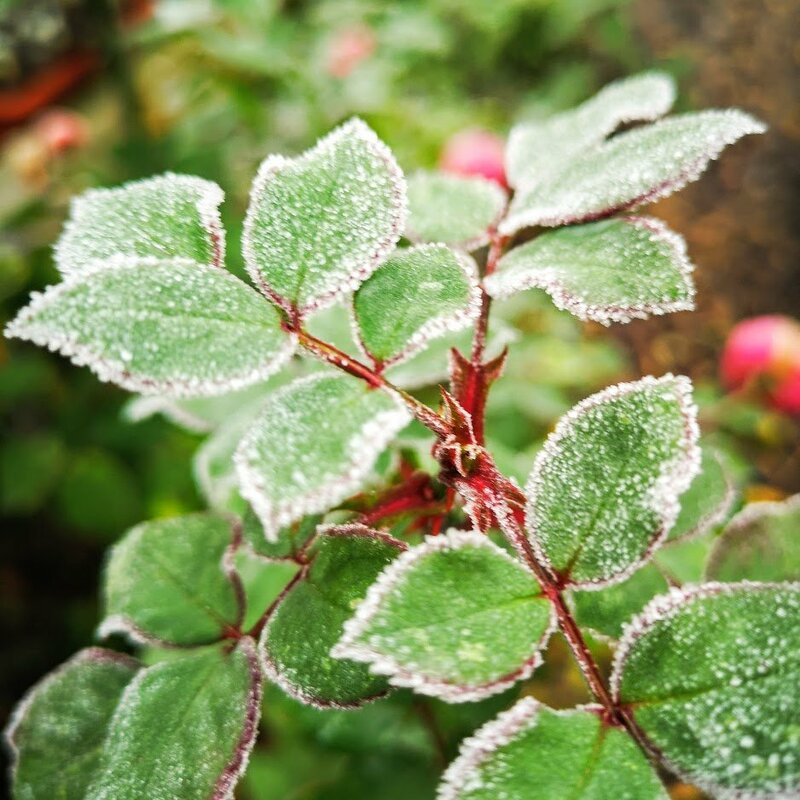 There are ways to make your garden look good in winter. And no, it doesn’t mean moving to the Bahamas, you can have a beautiful winter garden in northern parts of the world. When we transformed our garden, (hopefully you’ve been following our posts on our garden make-over), we thought about what kind of plants we wanted to plant. My husband, Darren, very wisely suggested we plant a lot of evergreens, so that there would be something to look at in winter. Very good point I thought. I had this romantic idea of a garden full of flowers but I hadn’t really thought about the fact that there aren’t many flowers that bloom in winter. Most shrubs and trees drop their leaves and I would have ended up with a very boring garden during the winter months. 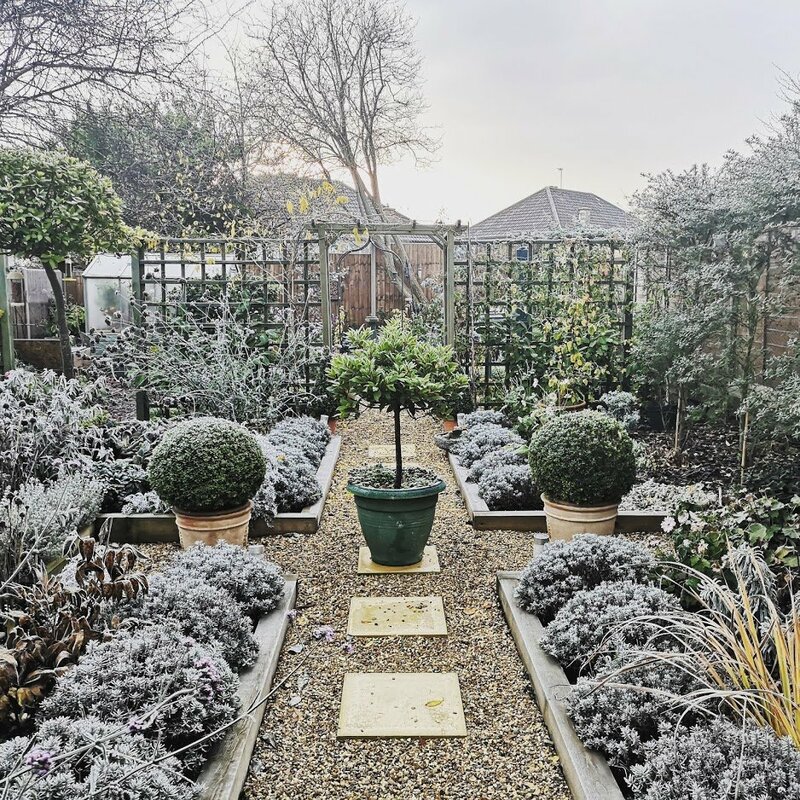 The best way to ensure you have a garden that looks great in winter is to give structure and shape to the space. Think of your winter plants as the skeleton, or bones, of your garden. You need to decide on these plants first and only then think about what you can plant between them for the rest of the year. Once you have planted your structural plants, you can then plant bulbs, perennials or annuals in amongst them. The structure will give you interest over the winter months and will hold everything together for the rest of the year. If you’re starting your garden from scratch, make a little plan to outline where you want your structural plants. You can go on Pinterest and find some really good ideas for structure in your garden. You may already have a garden that you enjoy in summer but looks uninteresting and unloved in winter. Don’t worry, you can easily add a few plants that will give your garden that needed lift. The following is a list of plants that I love for their winter interest but also because they provide structure at any time of year. Box (Buxus) is one of my favourites. These plants are evergreen and are grown very easily either in the ground or in pots. They are fantastic clipped into geometrical shapes. We have two large box balls in pots. Growing them in pots or containers is great because we can move them about the garden to change the look. We also have two cone-shaped box plants in pots that we placed at either side of our arch to mark the entrance. Then we have other smaller box balls planted throughout our flower beds to give the garden a uniform look. It’s best to plant several of these plants rather than just one, as repetition ties different flower beds together to give the garden a more coordinated look. Lavender. We have planted a row of lavender along one of our paths. It looked stunning in spring with all the beautiful blue flowers but it looks just as stunning now, clipped into domes and covered in frost. Hebe. These shrubs are real little gems in any garden. They flower beautifully and retain a nice shape during winter. There are so many varieties that you will find the perfect ones for your garden. Get more than one and plant them throughout your borders. But be sure to choose a variety that doesn’t grow too vigorously. Some of them can get quite big in a relatively short space of time. The dwarf varieties are great for small or medium gardens and they are also ideal to grow in containers or pots. Fatsia Japonica. These lovely lush plants can give your garden a tropical look and are quite hardy and good in winter. I like to grow mine against a fence or wall, where they can be protected from wind and cold and grow to quite a large size. Mahonia. A very easy to grow and architectural plant. I’m not normally a fan of prickly plants but I can overlook the spiny leaves on this occasion because it’s such an easy plant to grow and it does look stunning when in flower. 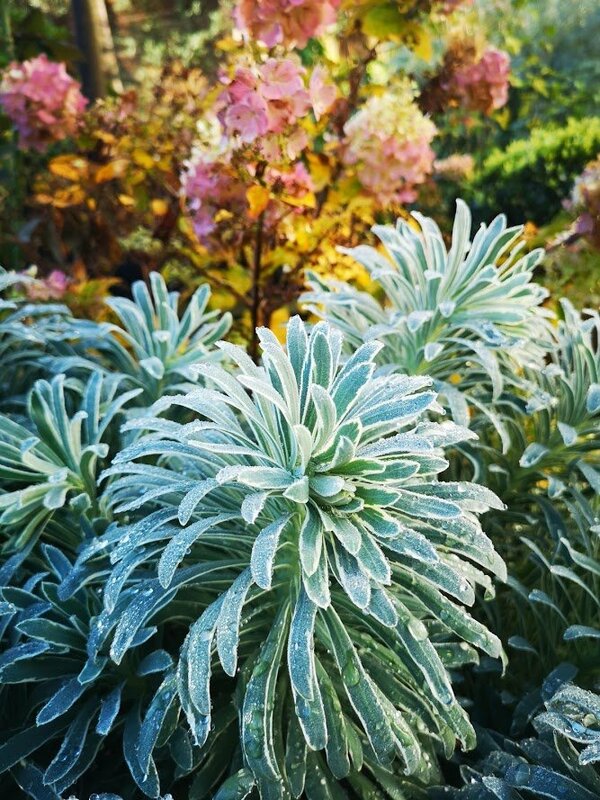 There are so many plants that are overlooked when it comes to their winter interest. 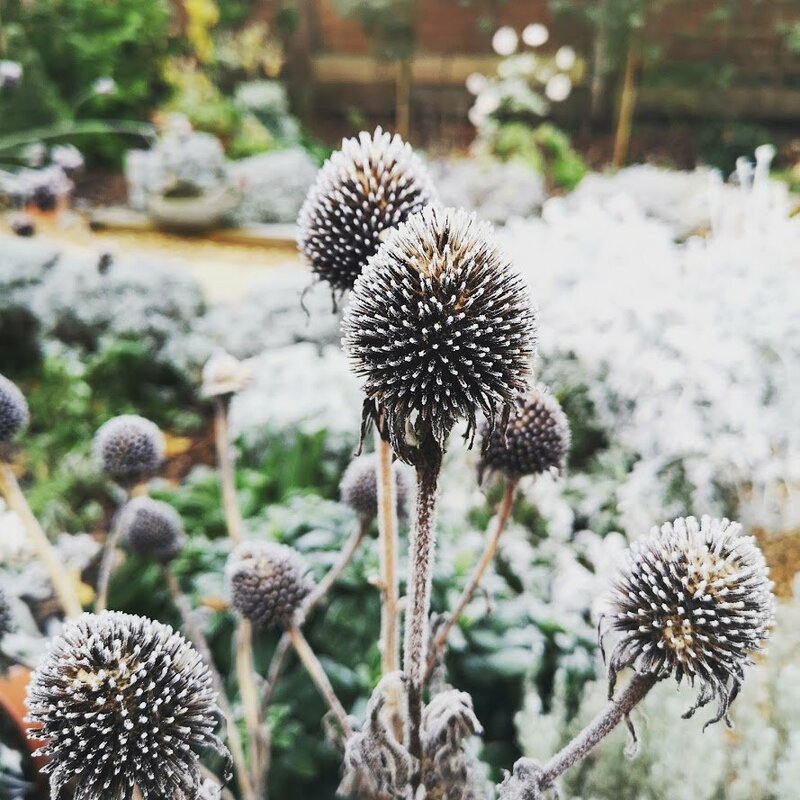 I planted a lot of Echinacea for late summer colour but as it turns out, they have beautiful seed heads in winter. 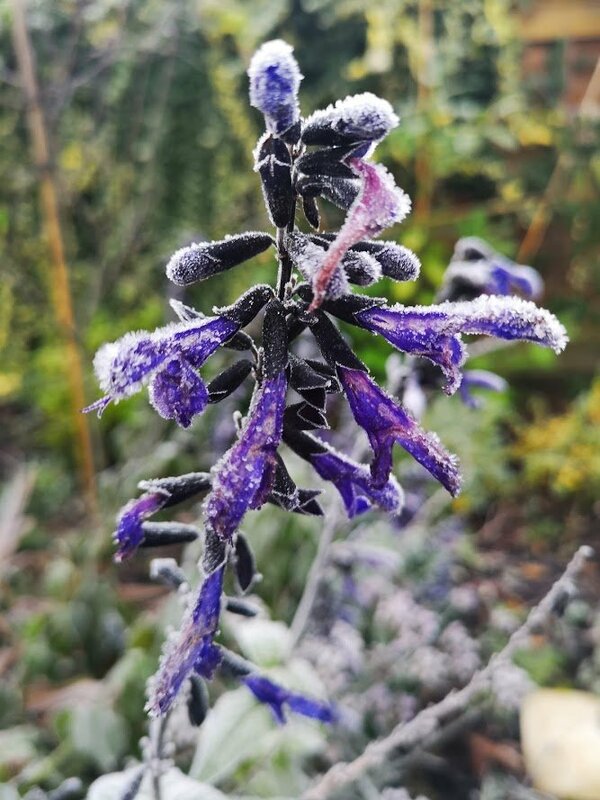 That’s why I’m not quick to cut down plants when they have finished flowering, because they can look stunning covered in frost. Sweet box (Sarcococca confusa). This lovely shrub doesn’t just give you evergreen interest but it produces fragrant white flowers and dark berries. I have planted this near our woodland path so that you get the sweet scent walking past. Hellebore. These lovely plants can become a bit of an obsession if you’re anything like me. I see them in garden centres in winter when there isn’t much else with blooms and colour and I always find another one that I must have in my garden. The colours range from green to white to pink to red… I recently discovered that there is a black one! It’s going straight on my wish list. 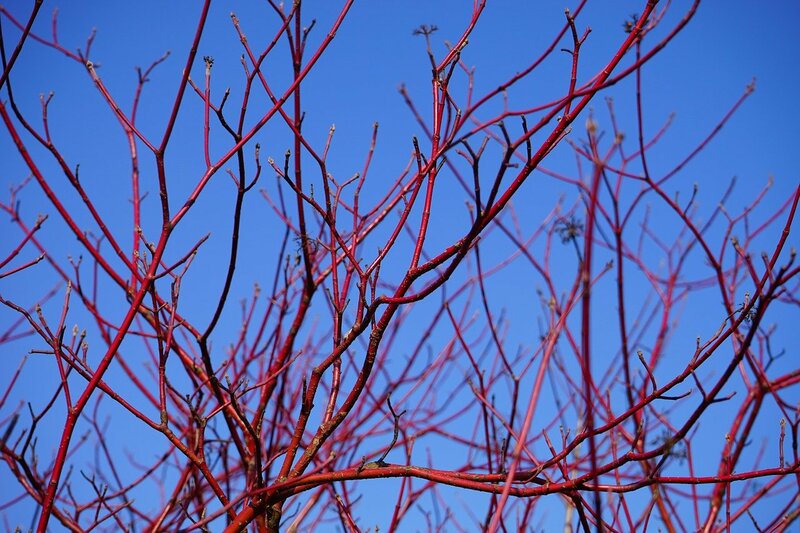 Red Dogwood (Cornus). These shrubs are mainly grown for their deep red winter stems. Very architectural plant, great for the back of a border. Euphorbia. We love these in our garden. 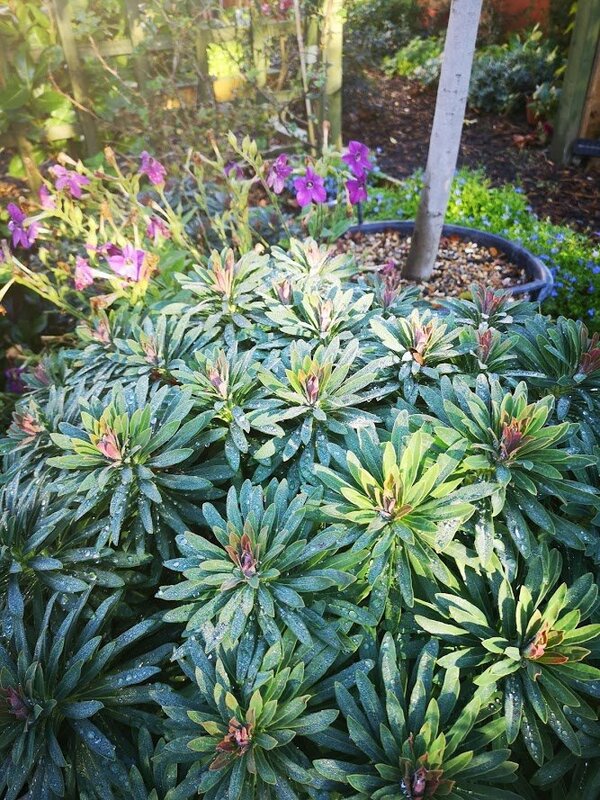 They really are very versatile plants, producing unusual, small flowers in summer and retaining their beautiful shape and leaves in winter. Be careful when pruning or cutting down though as they release a very irritant sap. I wear gloves whenever I need to prune them and it’s not a problem. My favourite is Blue Glacier with its silvery leaves and lime green flowers. Viburnum. There is a huge variety of Viburnum for winter colour and they can grow to different sizes. 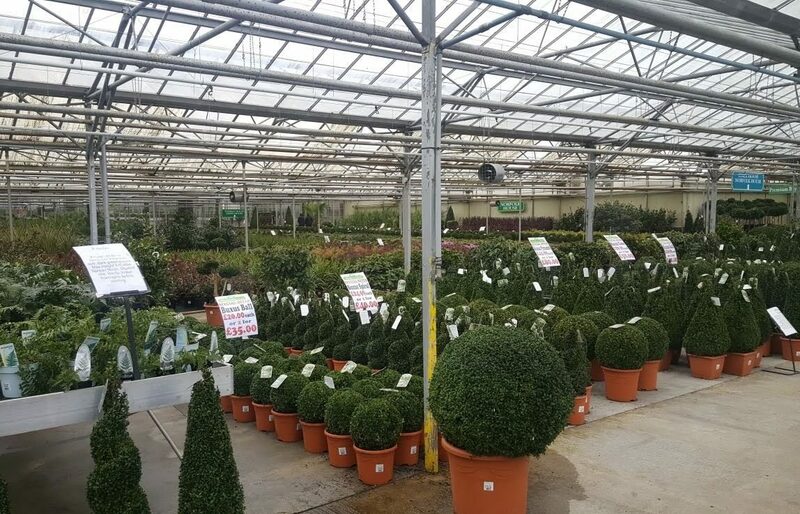 Choose one that is suitable for the size of your garden. I am growing one in a pot and it looks stunning when in flower now in December. Heather. Very underrated plant which provides much-needed winter colour. Winter flowering heather can come in white, pink and purple and can be grown in pots. 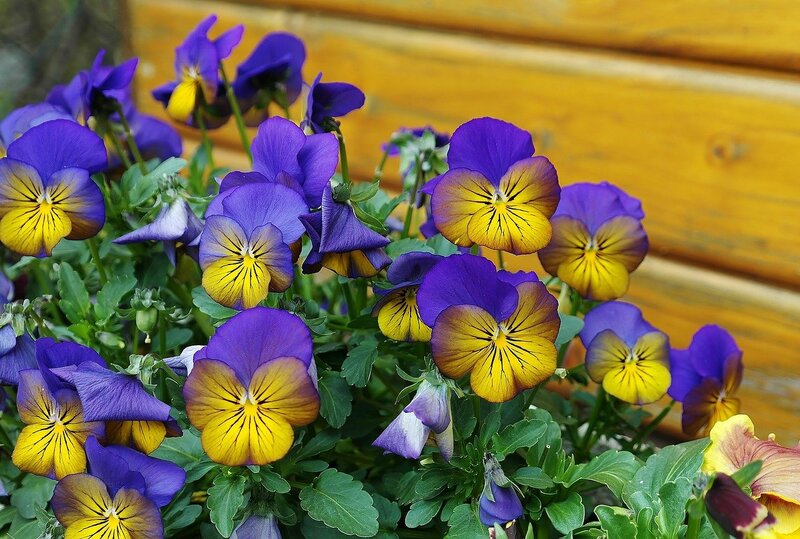 Pansies. I am personally not a big fan of these, but I’m starting to warm to them simply because of their sheer flower power. They look so delicate and yet they don’t mind being covered in snow and frost and just go on flowering. Little troopers! 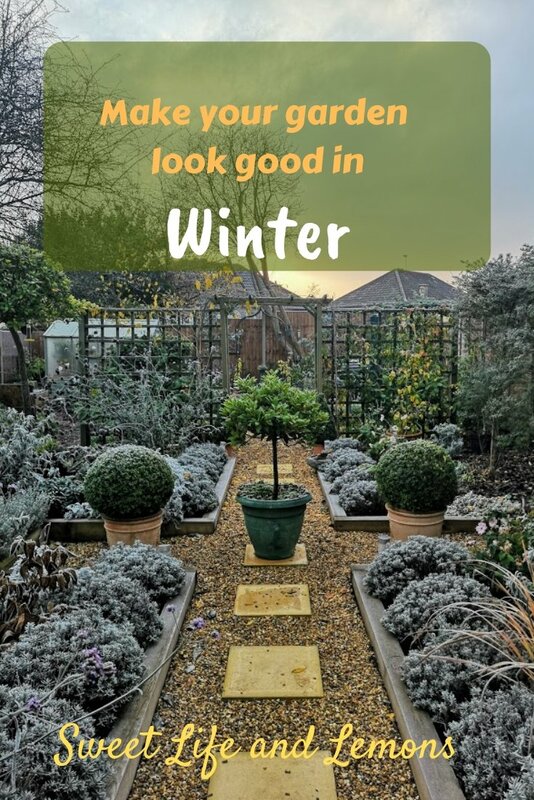 The list of plants that are great for winter interest could be endless, but I’ve given you a selection of plants that I have used in my own garden. Remember to choose plants that are suitable, you can find a lot of information on our post on how to choose the right plant for your garden. Above all, have fun making your choices and tweaking your garden, and I’m sure you will enjoy your winter garden as much as I do mine. “Winter came down to our home one night, Quietly pirouetting in on silvery-toed slippers of snow, And we, we were children once again.” ~Bill Morgan, Jr.
I’d love to hear how you get on, let me know in the comments. If you have any questions, get in touch, I’d love to help. A share would really help a lot with the success of this blog. It won’t take long and I would be so grateful. Please pin, tweet or share on Facebook. Thank you so much!